Our 4th annual Athabasca Jet Boat Poker Rally is on July 28th 2012 (saturday)Approx 80 mile run. BBQ, Great camping locations! All monies collected through registration and hands put back into cash prizes for the top three hands as well as lots of great door prizes. 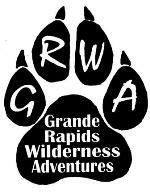 Rally hosted by Grand Rapids Wilderness Adventures. Posted: Tue Jul 24, 2012 10:29 am Post subject: Thanks for the support! A HUGE THANK YOU to all of our door prize sponsors that have gotten on board for this year's rally! They are as follows: (in no particular order) MSI for the use of their BBQ, Dease Engine & Compressor (Lac La Biche) Grand Rapids Wilderness Adventures, Colinton Hotel/Motel , Spence Electric, Bow-Line Ltd, Dave's Finishing, Athabasca Outdoor Products, Stags Rentals & Water Haulin, Smokin' Diesel Contracting, Boven's Jewellery, Boven's Waterhauling, Athabasca County, Town of Athabasca, Schmid Farms, Squarehed Designs (High Prairie), Tru Hardware, Athabasca Automotives, Gregg Distributors, Sears, Home Hardware, Jewell Services Inc., Pat's Performance, Wigs' Contracting, Sign Dezign, DataWest, Athabasca Hitch Company, Landing Liquor Store, Ken's Confectionary, Derko's Husky (Grassland), M & M Meats (Grassland), Tarpon Energy, River Valley Insurance, Canadian Tire, Buy Low Foods, Riverside Recreation Area and to Andy Delorme and friends for providing live music! Also to our volunteers to man checkpoints, help flip burgers, and for site maintenance (grass cutting, supplying firewood, etc) We would like to thank everybody for the overwhelming support for this year's rally. It is great to see so many wonderful people and businesses support jet boating in and around Athabasca, and assisting us in making our 4th Annual Rally another unforgettable local event! THE RALLY IS STILL AGO< LEVELS ARE DROPPING AND DEBRIS IS THINNING OUT! Posted: Mon Jul 30, 2012 3:18 pm Post subject: We had a great time in Athabasca!!! We attended the rally this weekend and spent the day after touring the local river area, including a rock bar on the La Biche!!! We had a fabulous weekend and are really pleased at the open arm welcome we recieved from everyone we met at the event and after. A special, thanks and pat on the back to Darcy and Shirley as we apreciate what efforts go on behind the scenes to get events off the ground. See you all next year , or sooner on the river between here and there! Can't believe what we have been missing all these years wandering around the lake with the other cattle. Posted: Wed Aug 01, 2012 3:51 pm Post subject: Thank You! and thank you Donna & Ron for attending, an event can only be as good as the people that attend...You guys rock! Thanks for your support!